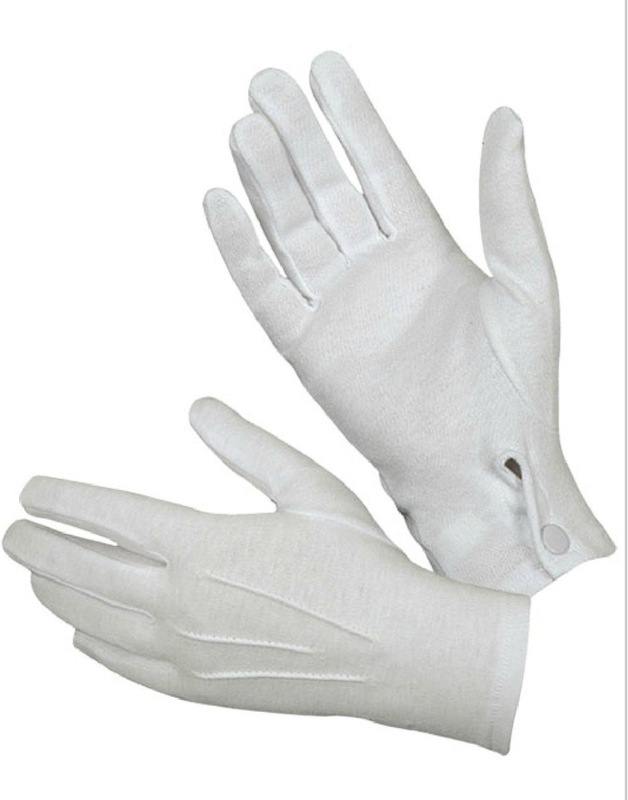 COTTON WHITE BUTTON GLOVES (DOZEN)Made from bleached cotton with snap button closures. 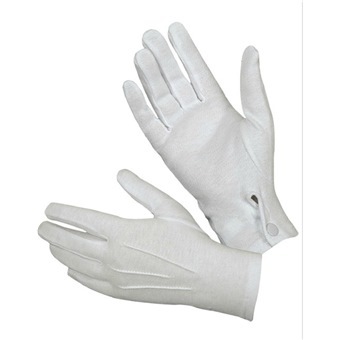 COTTON WHITE BUTTON GLOVES (DOZEN) is rated 3.8 out of 5 by 4. Made from bleached cotton with snap button closures. Rated 5 out of 5 by BPSG from Great cotton gloves value for money Great price for these cotton gloves - great for professional handling. Button included as well that adds value to the gloves. Rated 4 out of 5 by jasperngyc from Quality Problem button came out from glove after a few times of unbuckling. Rated 1 out of 5 by GUard from Poor quality Bought these and after we tried them once they started to fall apart. Rated 5 out of 5 by jojo93 from Great Quality & Good Price The quality of the gloves are excellent. Long-lasting and comfortable. Good price and timely delivery of the product.